I have told you before that Tsukuba is Japan’s number one GRASS GROWING CITY, a proud tradition which predates the golden years of the golf course boom to the early 20th century when this area’s farmers grew the TURF GRASS which was used to make airstrip runways, back in the days before tarmac. So even with the frantic development which our city has been undergoing, you cannot go very far without seeing a turf-grass field (which to the chagrin of the farmers, foreign residents are often tempted to picnic or play frisbee on). 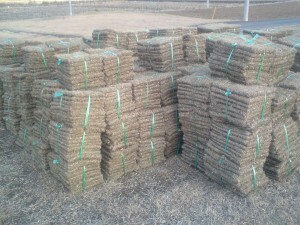 The abundance of grass fields probably makes Tsukuba City the area in Japan with the greatest awareness (by non-farmers) of one of the country’s more common, though rarely spotted mammals, the subterranean dwelling MOLE or MOGURA. 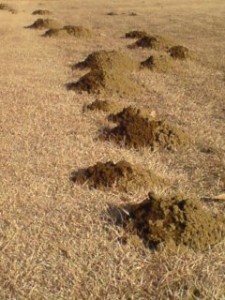 Though most Tsukubans have never actually seen a live mole (cat or dog owners are sometimes presented with them by their pets), nearly EVERYONE, including people who just pass through the city in their cars, are sure to have seen the myriad MOLE HILLS (mogura zuka) which stand out, like tiny mountain ranges, on the turf grass fields. 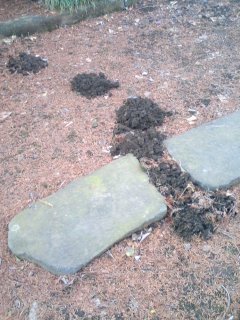 Besides the grass fields, as in other parts of Japan, mole hills can be spotted at parks, golf courses, front-yards, temples, and shrines. Moles have long been considered a pest by Japanese (and other countries’) farmers, as these small animals create a system of underground tunnels (the hills are made up of the excess soil which the moles push up out of them), sometimes damaging crops and irrigation ditches. 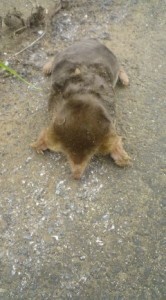 Besides all the modern chemical and mechanical mole-control devices available at home supply centers, nearly every region of Japan, including Ibaraki, has traditional rituals for driving away moles. In this prefecture such rites (called MOGURA BUCHI) are held in January. In other areas (where names such as MOGURA UCHI, MOGURA OI, etc., are used), similar ceremonies might be held in late autumn, just after the harvest. In Tsukuba, on January 14th or 15th, a family might take up poles, or farming implements with shafts, which they then use to pound the ground as they walk around the perimeter of their property. They then do the same thing while walking around their fields. At the same time they might also loudly chant out a traditional incantation (these vary from community to community), with the aim of ridding their land of pesky moles. While researching for this article I was surprised to find a piece of Kanto Area folklore (folk medicine, in fact) which I must say that I HOPE has died out. A Japanese encyclopedia of anthropology states that as a highly effective cure for hemorrhoids LIVE moles should be placed in an earthen jar and then roasted until only ash remains. It was believed that just a dash of the resulting powder would relieve you of any pain in your posterior. Moles spend most of their lives underground, and as a result certain species have developed interesting adaptations for their eyes, which makes them an interesting subject for evolutionary biologists. The ancient Japanese had a story to explain the moles subterranean lifestyle. According to legend, a mole, disturbed by the sun’s glare, tried to shoot it down, and for this ill-advised attempt was banished to a life of blindness, underground. Many Japanese believe that moles die when exposed to the sun. This is not true. However, moles DO die if they don’t keep eating and sometimes starved moles who have emerged after trying to dig through concrete can be found on the road side. Moles eat worms, centipedes, rolly-pollies, and other underground creepers. They have litters of 3-5 babies sometime in spring or summer, and they do not hibernate. 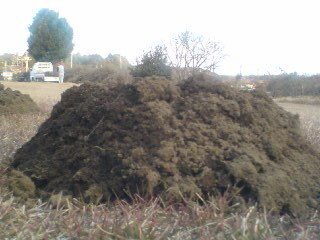 Farmers have told me that if you wake up at the crack of dawn you might be able to see the soil of mole hills moving. If you rush up and scoop up the mound, you might catch yourself a mogura, which here in Ibaraki are usually of the species called AZUMA MOGURA. I live in a small village in Izu and tonight a strange animal came around the house. I live at the back of the village, with mountain and forest near by. It looked like a cat except that I know cats and this was different. It doesn’t have fur except ont he head and face. I think it is from disease. It’s quite awful to look at: grey skin and skinny tail . I felt sorry and repelled but I came as close as I dared . It walks slowly and in a strange way and did not run away. Long face, pointed, definitely not a cat. 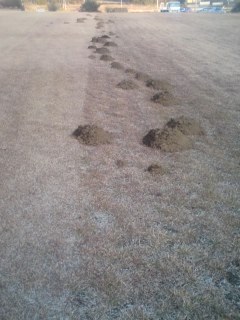 It went into the hatake were we throw our compost and was digging around. I think it could be a hakubishin without fur, or a tanuki ? have you ever seen one of these animals withour fur ? I cannot take a picture, it’s night. I’ll visit again your site as it looks quite interesting ! You must have had quite a scare last night. Based on your description, the animal that you saw probably WAS a hakubishin. It is nocturnal, eats composted veggies, is common where you live AND commonly suffers from mange (scabies)! The mange (KAISEN,疥癬 in Japanese) would make the poor thing almost hairless ( sounds cold!). Tanuki are also common victims of mange, but you said the tail was thin so that was almost surely not what you saw. Of course the tell-tale sign for identifying a hakubishin is the white line running from its forehead to its nose.Could you see its face? The only danger to your cat is catching the fleas which the the hakubishin is probably carrying.